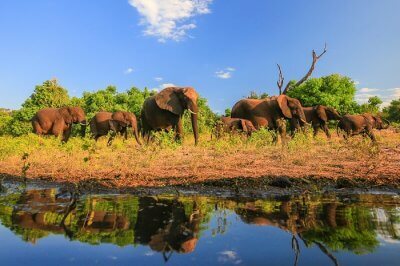 Manas National Park: A Handy Guide For Travelers To Visit In 2019! 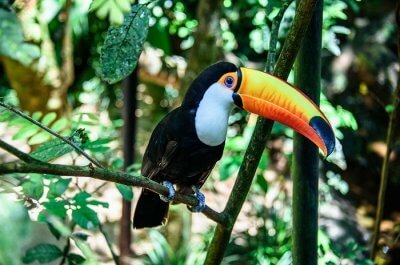 Far, far away in the land of North East is a utopia where you will find the most exotic wildlife living in harmony. 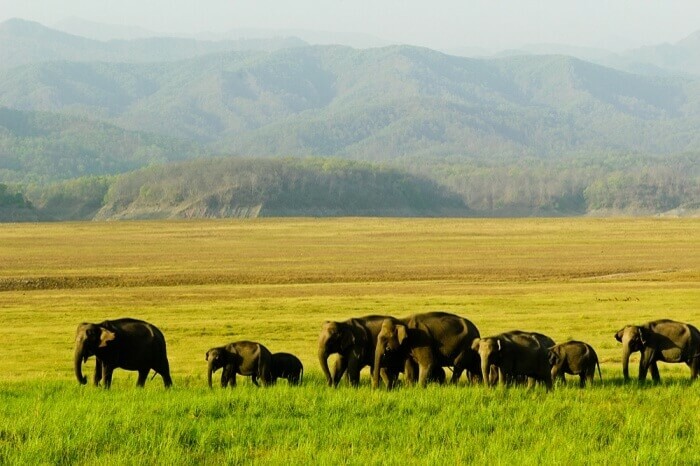 Manas National Park, Assam is the only place to be distincted as biosphere reserve, a natural heritage site, Project Tiger Reserve, and Project Elephant Reserve all at the same time. Located in the foothills of the Eastern Himalayas, the park is flanked by the giant Manas River separating it from Royal Manas National Park in Bhutan. Home to Royal Bengal Tiger and Wild Buffaloes, it offers you a myriad of activities to appreciate the diversity of the region. If you want a wholesome and fulfilling experience amidst nature, Manas National Park in India is the place to be. 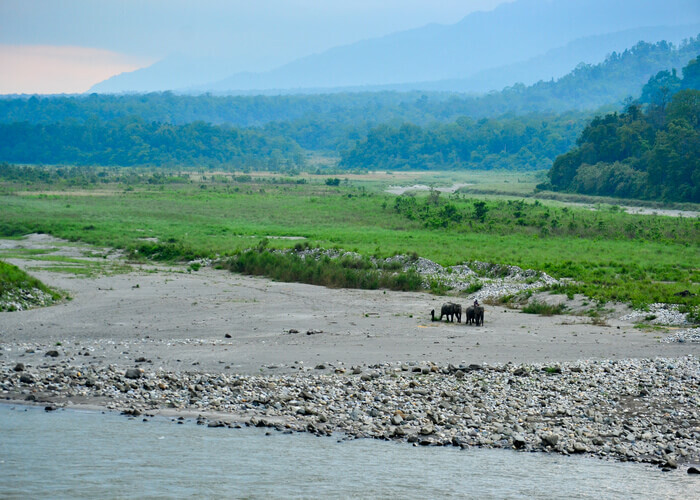 Geography: Manas National Park is a densely forested area located in the foothills of Eastern Himalayas. It is contiguous with Royal Manas National Park of Bhutan. Manas River which is a giant tributary of Brahmaputra River flows through the park along with five other rivers. The bedrock of Savannah area is formed of limestone and sandstone. Permits & Entry Fee: To enter into the park, you require permits which you will obtain from the Field’s Director Office on Barpeta Road. 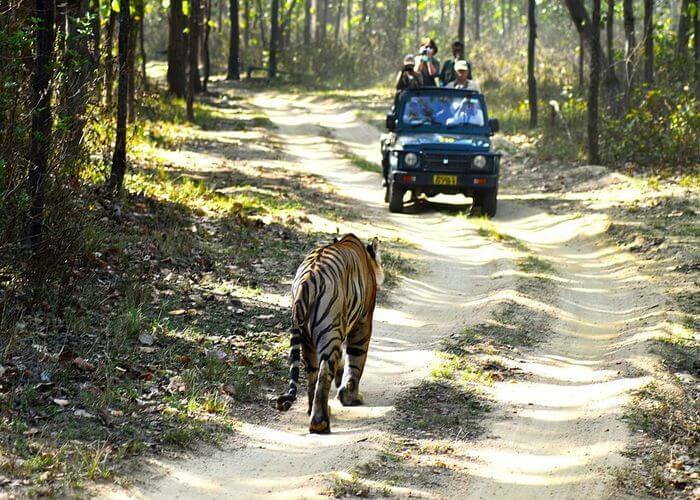 You can also hire private jeeps from here since the forest department does not provide any jeep or guides. You can take your own four-wheeler inside the park too. The entry fee for the park is paid at Bansbari Range Office. Entry: Indians ₹ 50; Foreigners ₹ 500 (half day)/ Indians ₹ 200; Foreigners ₹ 2,000 (full day) Timings 7.30am–2.30pm Jeep hire ₹ 3,000 (4 pax, half day); ₹ 5,000 (4 pax, full day) Photography Indians ₹ 50; Foreigners ₹ 500 Videography Indians ₹ 500; Foreigners ₹ 1,000. 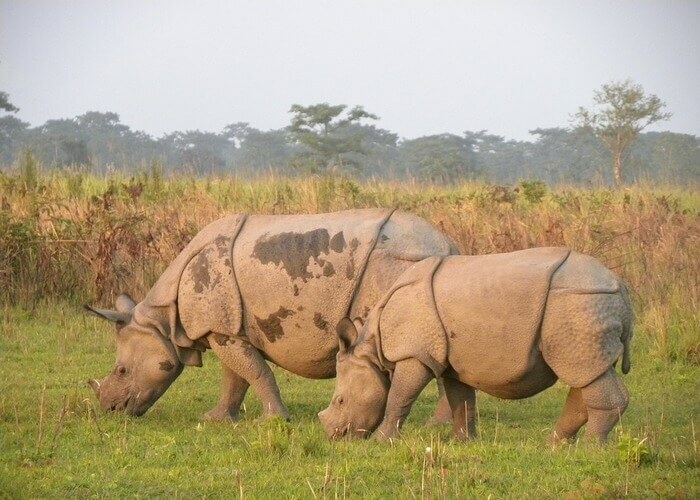 The best time to visit Manas National park is from November to April. The weather is pleasant and there is higher probability of spotting more fauna. The park is open everyday in these six months unless due to exceptional reasons like rain or safety. Though the park is partially opened in the months of May and October. Since June to September is a monsoon period, the park remains closed. 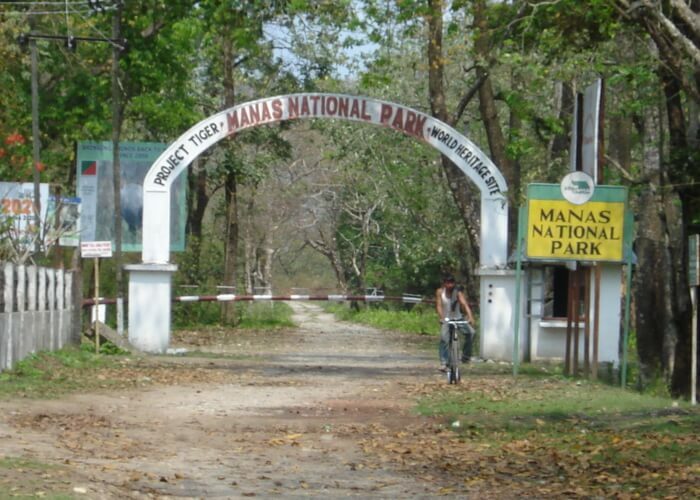 Manas National Park Tourism offers a variety of activities for the visitors to enjoy and appreciate the diversity of the nature. Manas National Park is home to more than 20 endangered species of birds and animals. 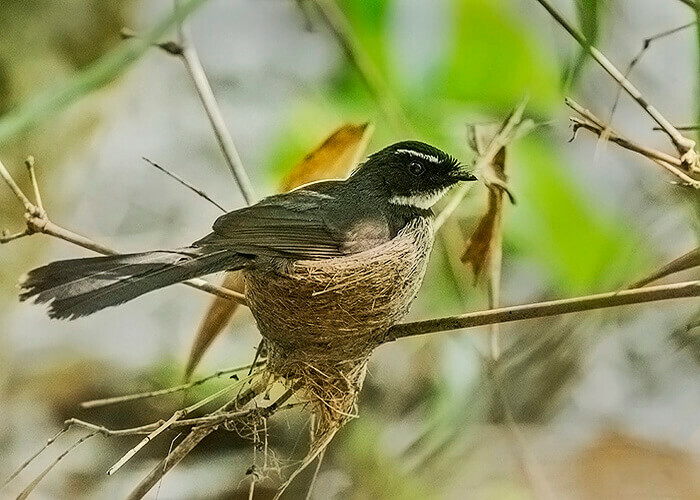 Get the rare sightings of exotic Manas wildlife sanctuary animals including Assam roofed turtle, pygmy hog, and hispid hare. The beautiful raw surroundings will make you feel overwhelming love for nature. 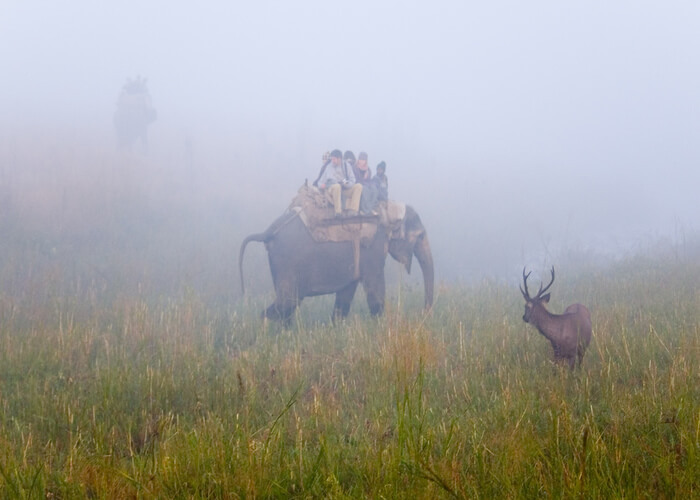 Riding on an elephant’s back and riding through the park is another interesting way to spot Manas National Park animals. These gorgeous giants are a part of the national park. The elephant ride gives you access to the regions of park where jeep is not allowed. You get a different perspective of the park from sitting on the back of a pachyderm. Price: INR 500 for Indians, INR 1,550 for foreigners. 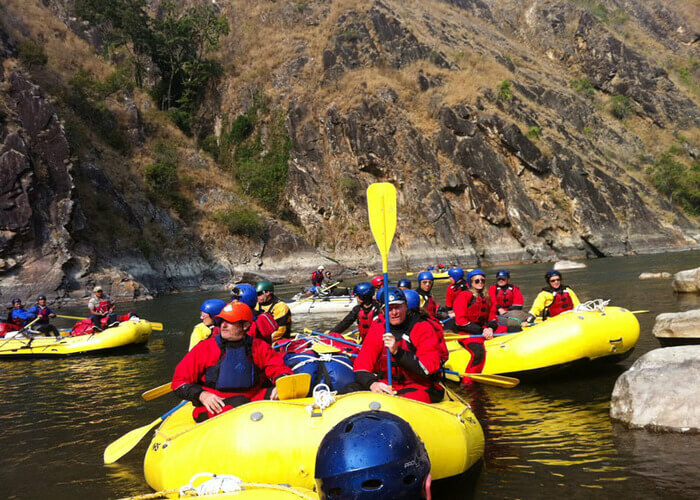 For the adventure seekers and wildlife enthusiasts, river rafting on the slow waters of Manas River is an exhilarating experience. The 35-km ride takes you through the wild deciduous forests which are a home to 400 different species of birds. Rafting on the deep azure waters of the river is kind of an experience you should really look forward to. Price: You can check the price with private tour operators there. The sanctuary is also a home to local Bodo villages where small indigenous communities of Ghatigaon and Ragu Bil stay in harmony. If you are lucky, you can join them in their music and dance sessions. 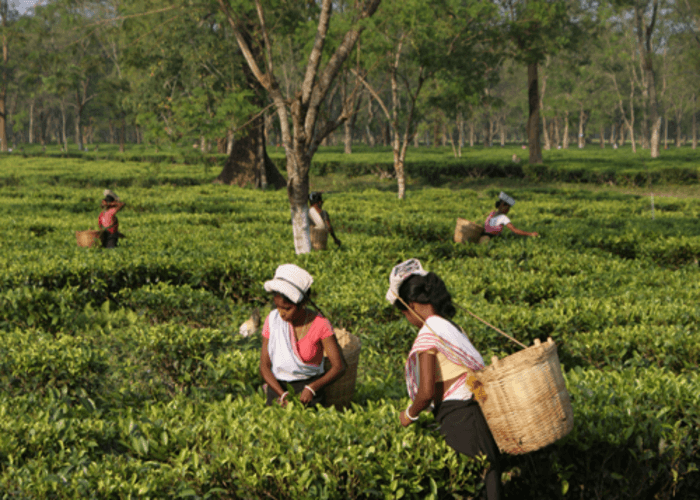 Assam is famous for its tea plantations and you can see plenty of them just right outside the park. Make a halt at Fatemabad Tea Estate next to Bansbari Lodge to take a walk through their pretty estate. Time to take out your binoculars because you are going to spot a lot of fancy birds here. A region so rich in fauna, you will birds you have never seen or heard of before. In every direction, you will hear a distinct coos of the various birds. 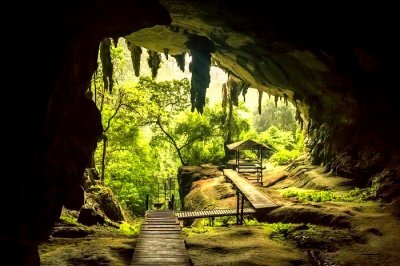 If you are a bird lover, this place is a paradise for you. The nearest airport to the national park is 180 km away in Guwahati. There are regular flights from cities like New Delhi, Mumbai, Jaipur, and Bangalore. Take a private taxi from the airport to reach here. Guwahati is the only railway station in north east which is well-connected to all the major cities in India with a number of trains including Rajdhani Express. From Guwahati, you can take a train to Barpeta which is 22 km away from Manas by road. Manas is 176 km away from guwahati which takes about 5 hours off road journey. INH 27 adjoins Barpeta Road to Bansbari which is the entry point to Manas National Park. In Manas National Park, hotels are scarce. But there are comfortable lodges which offer a comfortable stay and experience as you would have had in a hotel. The only accommodation situated inside the park, it is the most picturesque location to stay. It is 22 km inside the park, at Mathungari, in case you wish to spend a night among the wild. There are only six double rooms and a canteen. Birina Cottages are located right next to a tea estate offering you a pleasant location to stay. They have clean, comfortable cottage rooms furnished with basic amenities. 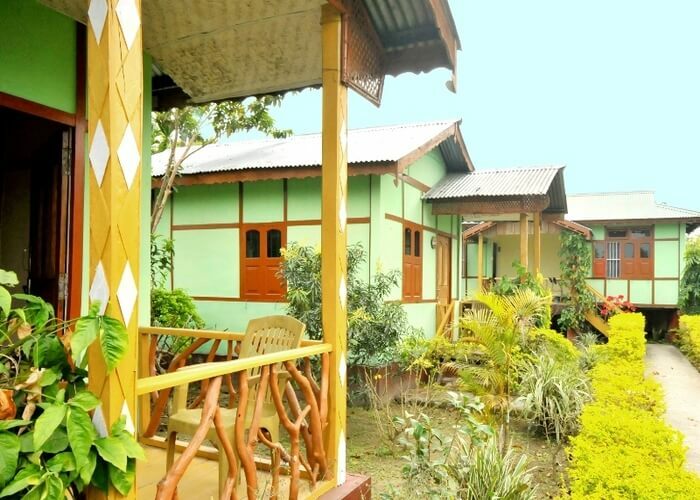 Florican Cottages is another accommodation type run by an NGO which offer Assamese thatched cottages for your comfortable stay. Tariff: From INR 2,100 per night. 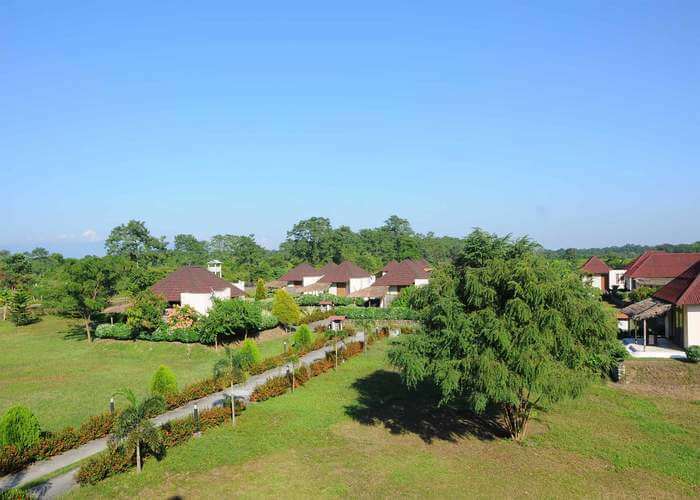 The only Manas National Park Resorts in the region which gives you an experience of a 5-star accommodation. The 3 different types of cottages offer different experience and views. The resort even has its own restaurant that serves Indian, Continental, Bodo, and Chinese cuisine. 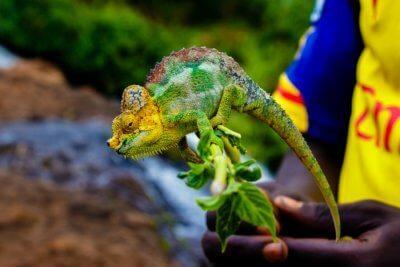 Activities: Jungle Safari, River rafting, village trails, picnics. Room type: Non AC tents with attached washrooms. All meals included. 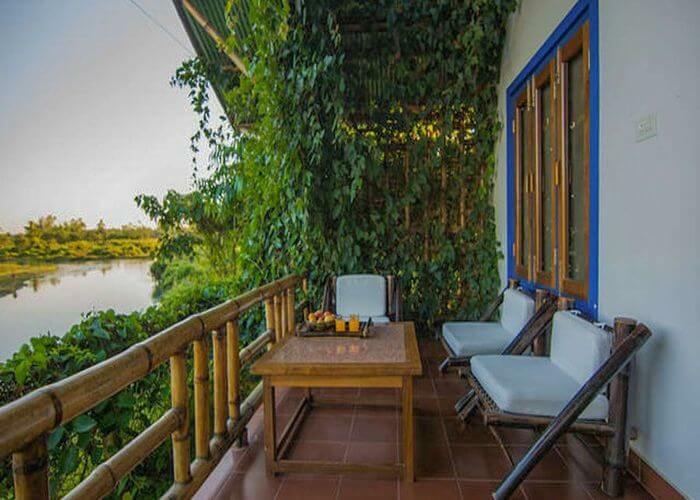 Ideally, a 3D/2N stay is ample time to have a fulfilling experience in the bio reserve. The jeep safari will take half of your day. The rest of the evening can be utilised for leisure or being a part of the cultural shows and performance organised by the tourist lodges. 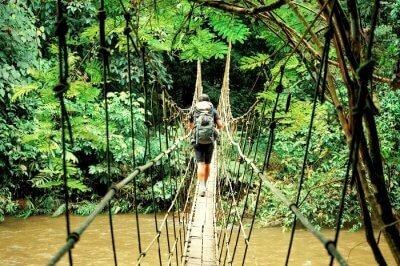 You will need a whole day if you want to go for river-rafting and nature walks. A destination in itself, Manas National Park offers a unique experience that you would find difficult to leave this place. A place where adventure is coupled with respite makes an ideal getaway for friends and families. 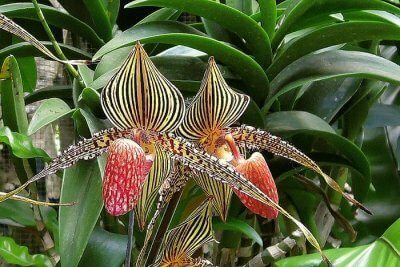 Explore the exotic region of North East through customized Assam Tour Packages with TravelTriangle.